From SEO to content, every marketing spend has to be justified. That said, it’s easier to prove the effectiveness of some forms of marketing more than others. Take PPC for example – you can physically see how much revenue you’ve made in comparison to how much you’ve spent. With content marketing, it’s a little more complicated. Return on investment (ROI) doesn’t have to mean cold hard cash; it can be anything your business wants to achieve, such as more leads, increased brand awareness/engagement, press coverage, organic traffic, or something else entirely. You can’t measure how well your content is performing without first deciding what you want it to achieve. 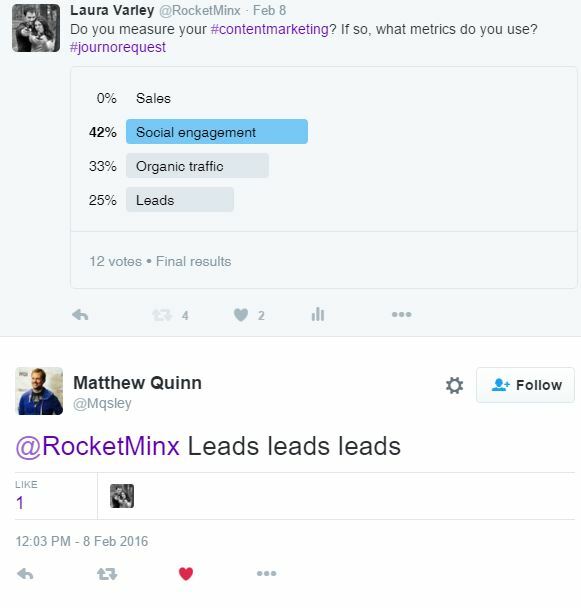 We ran a short poll on Twitter to determine what metrics are most important to marketers. The results were pretty split, but one thing is clear – the respondents would rather get leads than sales. Of course, not every content campaign you run has to be measured the same way. For example, the aim of your general blog content may be to drive people to make an enquiry or buy your products, but you may also decide to run a larger and more focused campaign to increase interaction on your social media channels. Several of the people that took part in my poll stated that the goals they aim for very much depend on the campaign. Sorry to tell you this, but when you hit ‘publish’ on that latest guide, infographic or blog, the world isn’t going to set on fire. Just like with PPC, it may take some time and patience before you start seeing real results from your content marketing efforts. Take a look at the example below: this blog has received more than 3,000 page views since it was published in July 2015, but not all of those happened straight away. What we see instead is a slow, steady uplift of visitors. Not every blog you produce will have this sort of impact, but the body of work you create will make a real difference. Posting unique and engaging content on a regular basis will boost your site’s authority, which means more organic traffic for your site as you’ll go up in the search engine rankings. First of all, page views aren’t everything. They are important, of course – you want to bring as many people to your site through your content as possible. However, there is little point celebrating 5,000 page views if the average time spent on page is just ten seconds, and the bounce rate (when visitors leave your site having viewed only one page) is nearly 100 per cent. You need to bring quality visitors into your site – ones that actually find your content useful. If lots of people are clicking through to your content, but aren’t sticking around to read it, there’s a big problem. It could be the content itself. Is it well written? Does it provide value to your visitors? Is it well-presented and pleasing to the eye? Check the page too; it may be broken in some way. If you don’t run an e-commerce site, leads are probably one of the most important metrics you measure. However, unless you track where your leads are coming from, it’s impossible to know how many of them your content is bringing in. Using a tool like Google Analytics (GA) is key, as you can set up various goals and keep track of which site pages are bringing in the leads you’re after. You could track everything from phone calls to form completions. Don’t know the first thing about tracking leads in GA? Check out our helpful step-by-step guide. You can clearly see how many people have retweeted/liked/shared your content on social networks like Facebook, Twitter, LinkedIn, Instagram and Tumblr, but these stats don’t tell you how many people actually clicked through to the content. You can find out this information in GA – it will tell you the exact piece of content shared and which social network it was posted on, as well as a load of other useful data. Just head to the Acquisition section of the left hand side and click on ‘Social’ followed by ‘Network Referrals’. Finally, change the secondary dimension to ‘Landing page’. Naturally, the number of page views/sessions each piece receives via social is important, but it’s not the be all and end all. Quality is better than quantity, so you need to measure your sharing success by the average time on page and the average number of pages visited per session. Some social networks are better at bringing in quality visitors than others – StumbleUpon users tend to flick from site to site quite quickly, so they may see your content, but never actually read it. Facebook and Twitter users, meanwhile, have purposely clicked on your content and therefore are much more likely to spend more time on site. Getting your content seen on social media isn’t as simple as just posting it to the network – it’s unlikely that people will pick it up organically. You need to think about how you present it, and who you present it to; use hashtags, images and share it with industry influencers you think will be interested in it. Check out our social media tips if you’re stuck! The number of conversions your content makes can be measured in a similar way to leads in GA. You can choose to measure several types of conversions if you wish – from sales to video views. However, it’s worth remembering that GA uses Last Click Attribution by default, meaning only the last source/medium clicked before the conversion is taken into account. For example, a customer may have first found your site organically through a piece of content of yours that appeared in their Google search, but left without making a purchase. They may have returned several times to read another blog, look at some of your products or they might have clicked an advert that was following them about, before finally making a purchase. Despite the fact the blog was the reason why the customer found your site, only the last medium will receive the credit for their purchase, and since content is best at nurturing customers to convert, Last Click Attribution can make it seem like content plays no role in sales. Use the Model Comparison Tool, which can be found under ‘Attribution’ in GA, to compare the different models. Organic traffic tends to be credited for more conversions when measured via First Interaction. 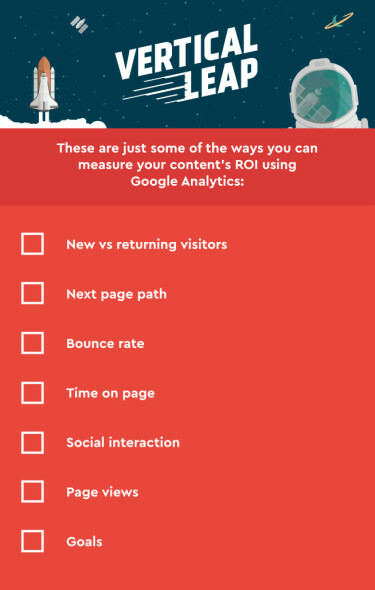 It’s vital to measure the performance of your content. Without doing so, it’s impossible to know whether it’s helping you to achieve a good ROI. If your content isn’t performing as expected, perhaps you need to step back and see why it isn’t working. You may need to give it some more time to pick up traffic, too. 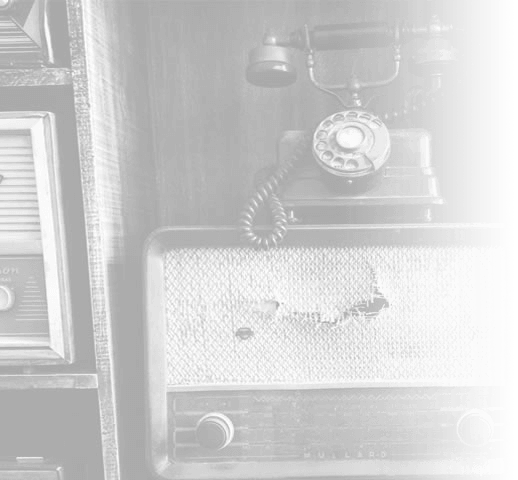 If you’d like help with your content marketing, get in touch with one of our experts today.